Keywords and amazing photos always focus on the “get away” theme to motivate snow sports fans to come take advantage of this paradise just outside Montréal. 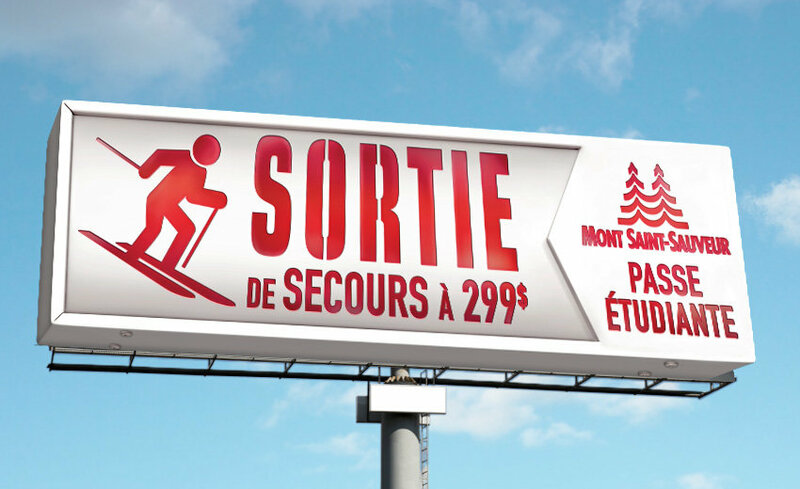 Of all the slopes in the Saint-Sauveur Valley, the mountain that shines the brightest is without a doubt Mont Saint-Sauveur. This snow-sport paradise is a unique destination, whether you’ve got an hour, a day or a whole week. It’s just great to get away from it all and take advantage of MSS’ trails and evening activities that make it unique. This was our conclusion when we drew up the mountain’s strategic plan in 2014. 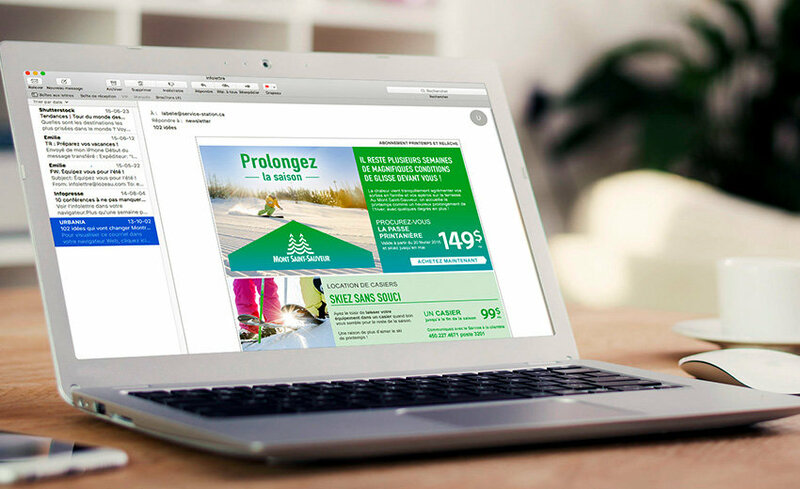 Since then, the “Get Away” platform has been confidently implemented to firmly support all promotional communications. Absolutely everything follows the communications guidelines. 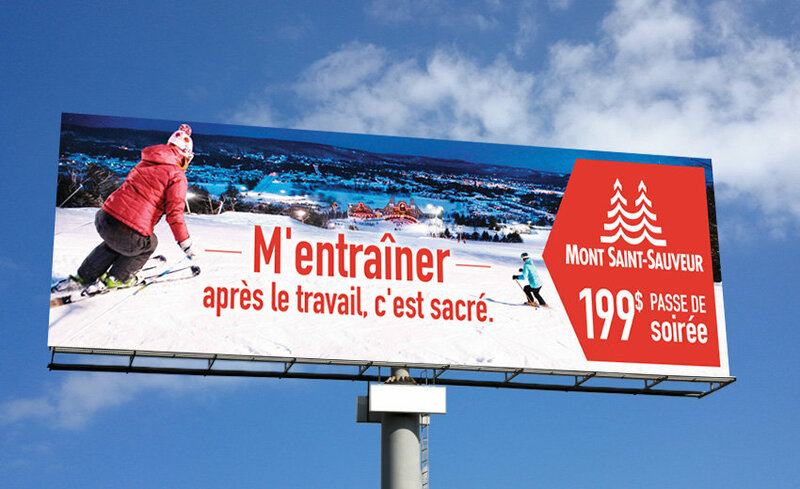 For instance, the polygon shape can be found throughout the mountain’s advertising, signage and promotional tools (brochures, flyers, email, etc.) and the bright colours that vary by offer are sure to catch the eye every time.